My Clients Money and My Reputation"
Marc Brings His Knowledge Of Real Estate, Customer Service, Construction, Design And Remodeling To Puerto Vallarta. 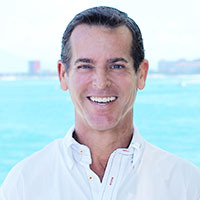 Since Moving To Puerto Vallarta In 2008, Marc Has Worked To Provide The Best Possible Representation And Care For His Clients Buy Putting Together A Team Of Professionals To Help You In Your Purchase Or Sale, And The Care Of Your Property. Marc And His Team All Share A Common Goal To Listen To Your Needs And Desires, Provide You With Honesty, Integrity And Always Work In Your (The Client’s) Best Interest. Marc And His Team Work To Provide Clients With Everything They Need From The Start Of The Buying Or Selling Process Until Well After The Closing, His Team Is There To Help. Marc’s Team Includes, Bilingual Real Estate Attorneys, Immigration Consultants, Contractors For Remodeling, Interior Designers, Insurance Representatives And Property Managers. Everything You Need To Sell Or To Make Your Transition To A Life In Puerto Vallarta Smooth. All While Making Sure To Find You The Property That Best Fits Your Needs, Desires And Budget. Member Of The Multi List And FLEX Listing System.